KATHMANDU, Oct 30 : Tourism Secretary Maheshwar Neupane on Sunday said that he was hopeful that the issue of tax collection from tourists by local bodies would be resolved soon. 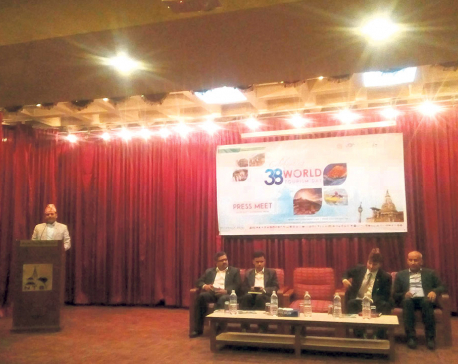 Inaugurating the 39th Annual General Meeting (AGM) of TAAN in Kathmandu on Sunday, he said that the tourism ministry has recommended to the Ministry of Federal Affairs and Local Development to stop local bodies to collect separate tax from tourists in the name of tourism tax. TAAN had strongly raised the issue after Khumbu Pasang Lhamu Rural Municipality starting levying Rs 2,000 on every tourist entering the Everest region as tourism tax. 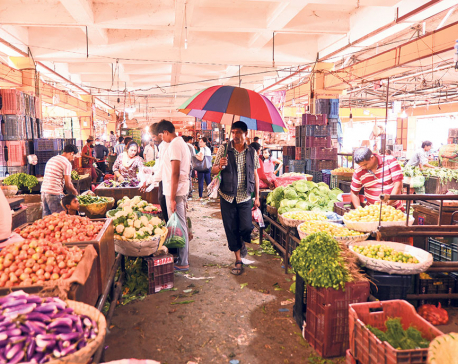 Though the tourism ministry had directed the local body to stop collecting tax for the time being, the rural municipality has been collecting tax. Representatives of different travel trade associations like Federation of Nepalese Chambers of Commerce and Industry, Nepal Mountaineering Association, Nepal Association of Tour and Travel Agents, Himalayan Rescue Association, Society of Tour and Travel Operators Nepal, Nepal Association of Tour Operators and Pacific Asia Travel Association Nepal Chapter, among others, were present in the inauguration ceremony. Speaking at the program, TAAN President Chandra Prasad Rijal requested the government to introduce 'No trekking without company and guide' rule in the country in order to discourage illegal operation of trekking business by unauthorized individual and groups. The AGM will also elect a 23-member executive committee for a two-year term. Meanwhile, Secretary Neupane also awarded top companies issuing highest number of Trekkers Information Management System (TIMS) in the last fiscal year. Those awarded on the occasion were Himalayan Encounters, Royal Mountain Trekking, Thamserku Trekking, Highland Excursion Nepal and Himalayan Social Journey Treks, Himalayan Wonders Adventure, Summit Nepal Trekking, Swissa’s Mountain Way Trekking, Raika Tours and Treks and Trek the Himalaya Trekking. The AGM also endorsed annual progress report presented by General Secretary Karna Bahadur Lama and annual financial report presented by Treasurer Lila Baldab Dahal. KATHMANDU, Oct 30: Trekking Agencies’ Association of Nepal (TAAN) has awarded two journalists from Nagarik daily newspaper with 'TAAN Journalists Award 2017’. Nagarik journalists Arjun Pakhrin and Khilak Budhathoki received the award in recognition of their contribution in promoting Nepali adventure tourism industry through their news reports, according to TAAN. On the occasion, TAAN also awarded Bharatbandhu Thapa from OnlineKhabar.com, Shiva Shrestha from Tourism News, Prakash Khaling from Shikhar Post and Rameshwor Karki as well as photo journalist Janardan Aryal and documentary maker Kumar Chaulagain. The aware carries a purse of Rs 15,000 and letter of appreciation each.